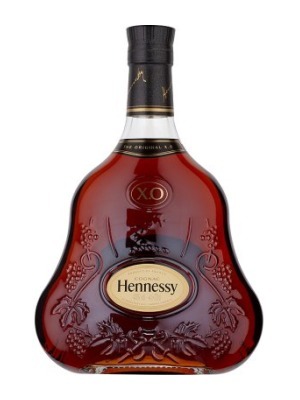 Hennessy XO Cognac is a popular Brandy and Cognac available from DrinkSupermarket.com in 70cl to buy online. Visit DrinkSupermarket.com for the best price for 70cl of Hennessy XO Cognac or compare prices on our other Brandy and Cognac products. Hennessy XO was created in 1870 by Hennessy for the personal use of Mr. Maurice Hennessy, his family and freinds. The 100 eaux-de-vie assembled to create X.O were aged for a long time - some for 30 years - to give an unparalleled robustness. Maurice Hennessy gave the name X.O to this extraordinary 'extra old' cognac. Its intense and deep amber colour is a sign of its strength. Its flavours of candied fruit and its subtle and lightly spicy nose create a complete harmony: a mark of its power and roundness. To taste, a smooth, full sensation gives a simultaneously powerful and soft tonality with a hint of cocoa and a warm fruity presence. The long finish expresses all the complexity of the cognac's blending and its long aging process. At once deep and powerful, its character seduces connoisseurs, who appreciate its undeniable modernity and constant revelation of layers of flavours, whether tasted neat, on ice or with a splash of still or sparkling water. Where to buy Hennessy XO Cognac ? Hennessy XO Cognac Supermarkets & Stockists. You can buy Hennessy XO Cognac online in most retailers and find it in the Brandy and Cognac aisle in supermarkets but we found the best deals online for Hennessy XO Cognac in DrinkSupermarket.com, Amazon.co.uk, TheDrinkShop, Waitrose Cellar, and others. Compare the current price of Hennessy XO Cognac in 70cl size in the table of offers below. Simply click on the button to order Hennessy XO Cognac online now.